By third grade we hope that most of our third graders know most of their addition and subtraction facts from memory. But usually they don’t. So do we spend precious math time drilling and killing them on those facts? NO, there is a better way. Teach them the Properties of Addition! Yes, these properties are actually smart strategies to add more efficiently especially with multi digit numbers. 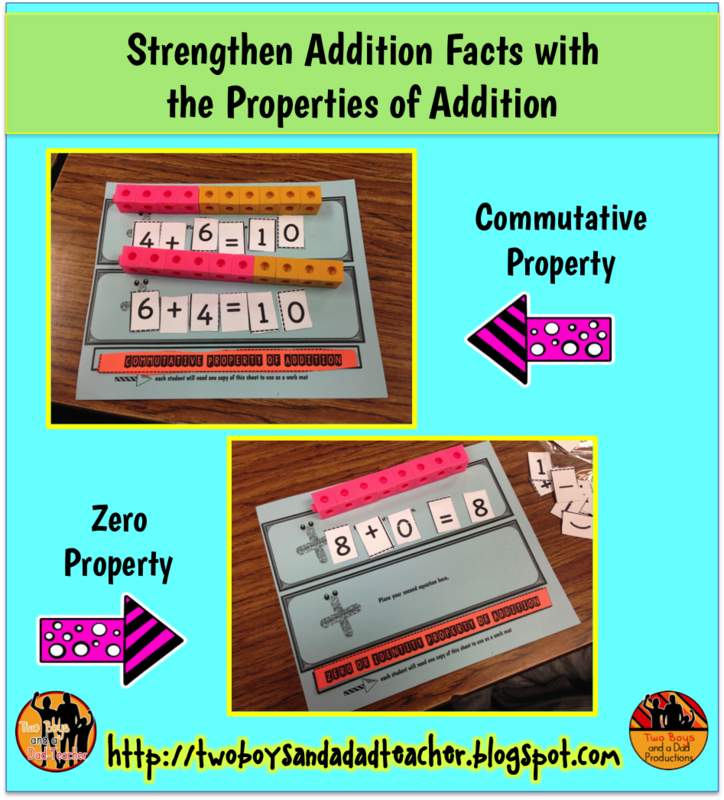 The Zero or Identity Property of Addition (ZPA) is a quick and fairly easy property to teach: any number added to zero is that number. Or stated another way: any addend added to zero is that addend. I have my students practice this property and 2 others on these mats shown in the picture. Though they are part of a paid resource, a white board with headings works just as well. The Commutative Property of Addition (CPA) is a MUST. If a student is stuck with 7 + 5, then maybe the student knows 5 + 7! The Commutative Property states that addends can be added in any order. Again I have my students practice this property on the mats and using unifix cubes. Watch the video below to see a demonstration. Understanding the Commutative Property also helps with mental math or counting up. If you are presented with 3 + 8, you can start with the larger number and count up 3 to get to 11. I can do this because the CPA allows me to start with any addend. Sometimes younger students are stuck and are daunted by having to count up from a smaller number. Start with the larger number! Working closely with the CPA, is the Associative Property of Addition. The Associative Property of Addition (APA) allows me to group any addends and add them. So why not group digits that add up to 10! Why 10? Because it has a zero! (see Zero Property of Addition). See the example below to see how the (APA) really helps with adding multi digit numbers or with column addition. I still remember my math teacher from high school giving us that tip! Look for combinations of 10s. 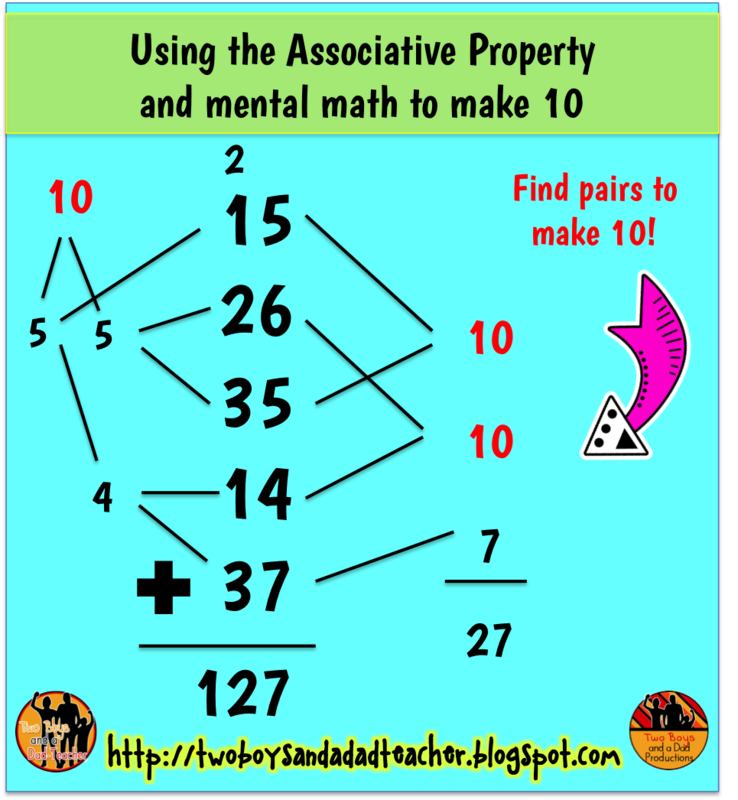 Associative Property of Addition is great for finding pairs that make 10. So, it may be a while before third graders or even fourth graders are automatic with the addition and subtraction facts. But knowing the Properties of Addition students have a strategy for adding when their memory fails. 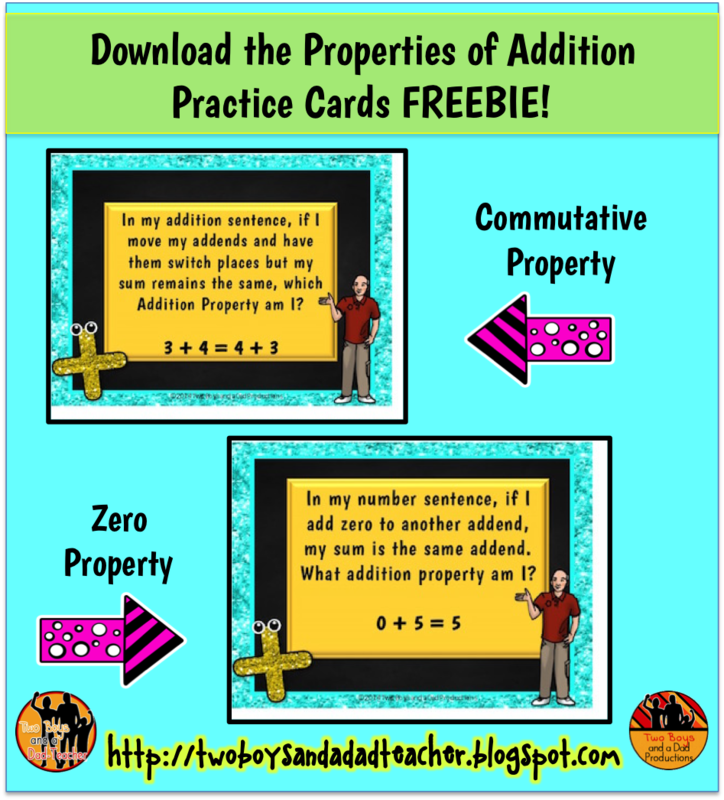 You can download FREE Property of Addition Cards HERE. There are 12 cards to help your students practice. They can be used whole class, in centers, as a game, etc. You can see all my products for the Properties of Addition HERE. 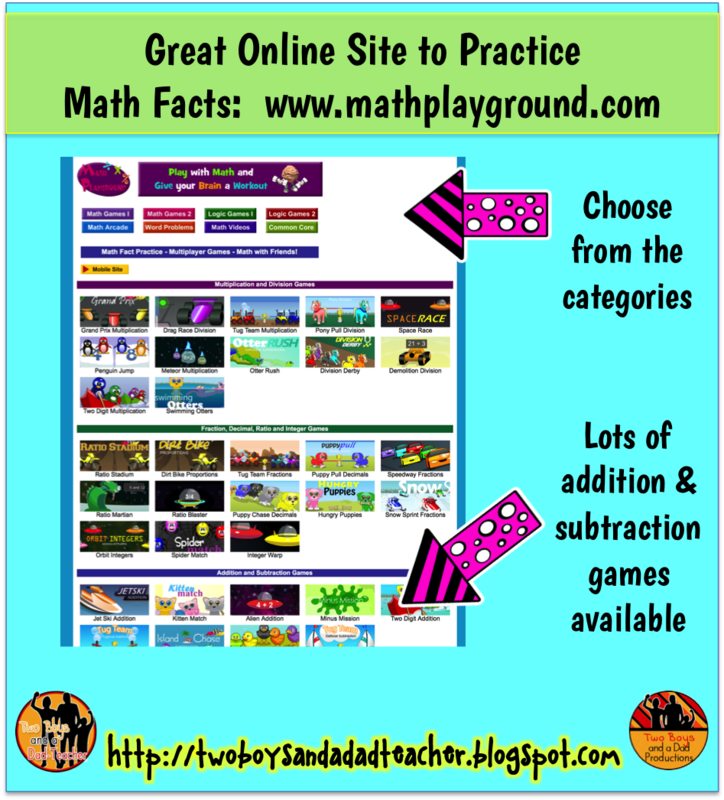 In the meantime, when students do have time and access to the internet, here are some kid friendly and fun websites that have games for the students to practice the addition and subtraction facts. For the record, I have no affiliations or links to the following websites. They are suggested websites that I have used with my own students. They are fast loading, kid friendly and best of all, FREE! Please note that mathplayground.com and fun4thebrain.com are advertisement supported sites so your students may encounter ads. The websites were accessed using Chrome and Safari. mathplayground.com does support mobile devices such as tablets and phones. fun4thebrain.com requires flash to work with iOS, so it does not work properly with an iPad or iPhone. However, paid iOS and Android apps are available for those games as well. So, if your students have access to Chrome Books or other laptops, these sites are easily accessible and full of learning! Nicely designed website with many games for students to chose from that will appeal to both boys and girls. The site also has the link to iOS apps for the iPhone and Android apps. However, those are paid apps. Another great website with many games for students to chose from. The best part of this website is that at the bottom of each game screen is either the Common Core State Math Standard or the Mathematical Practice it supports. So if parents or administrators are in doubt that these games will support the CCSS, you have some evidence. 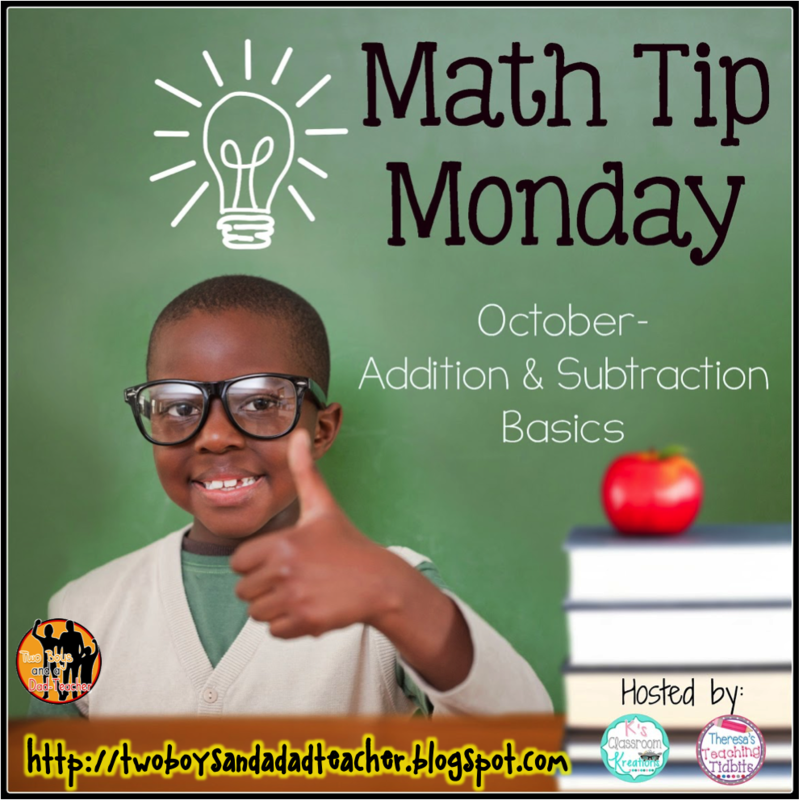 Click the links below to get more ideas from Math Tip Monday bloggers!